→ Next door neighbours; a comedy: in three acts. From the French dramas L'indigent & Le dissipateur. As performed at the Theatre-Royal, Hay-Market. Between 1784 and 1805 she had nineteen of her comedies, sentimental dramas, and farces (many of which were translations from the French) performed at London theatres. 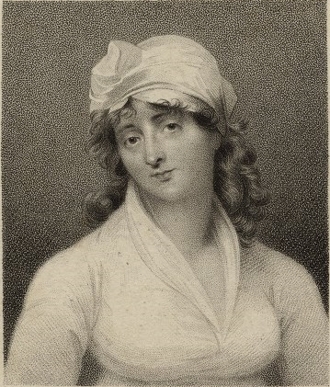 Eighteen of her plays were published, though she wrote several more; the exact number is in dispute though most recent commentators claim between 21 and 23. Her two novels have been frequently reprinted. She also did considerable editorial and critical work. Her literary start began with writing for The Artist and Edinburgh Review. A four-volume autobiography was destroyed before her death upon the advice of her confessor, but she left some of her diaries. The latter are currently held at the Folger Shakespeare Library and an edition was recently published. 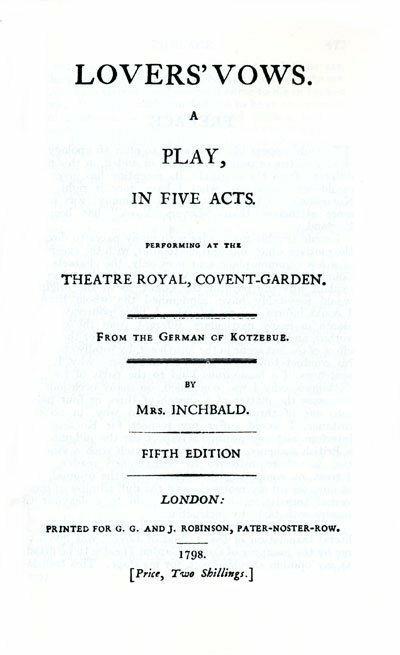 Her play Lovers' Vows (1798) was featured by Jane Austen in her novel Mansfield Park.--Wikipedia. Epub 20150814.epub If you cannot open a .mobi file on your mobile device, please use .epub with an appropriate eReader. Mobi/Kindle 20150814.mobi Not all Kindles or Kindle apps open all .mobi files.